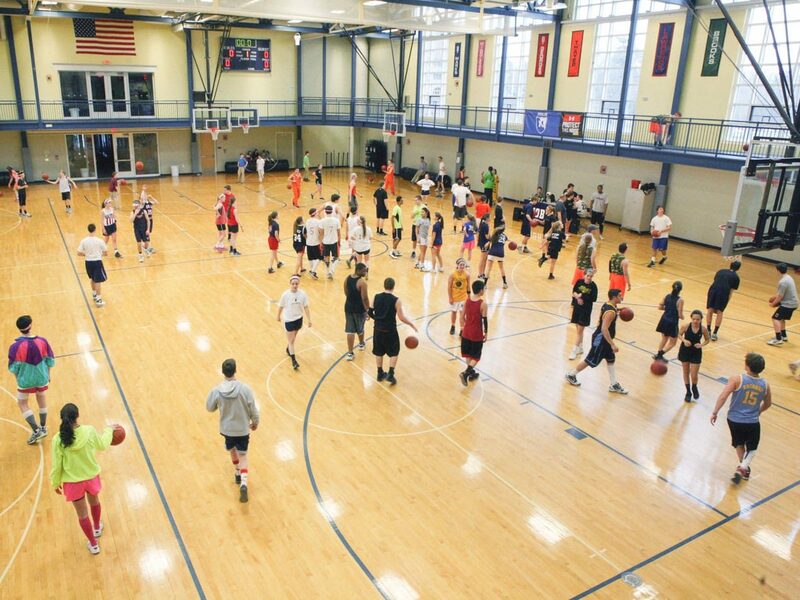 The MAC has provided ample space for any fitness or athletic activity since 2000. 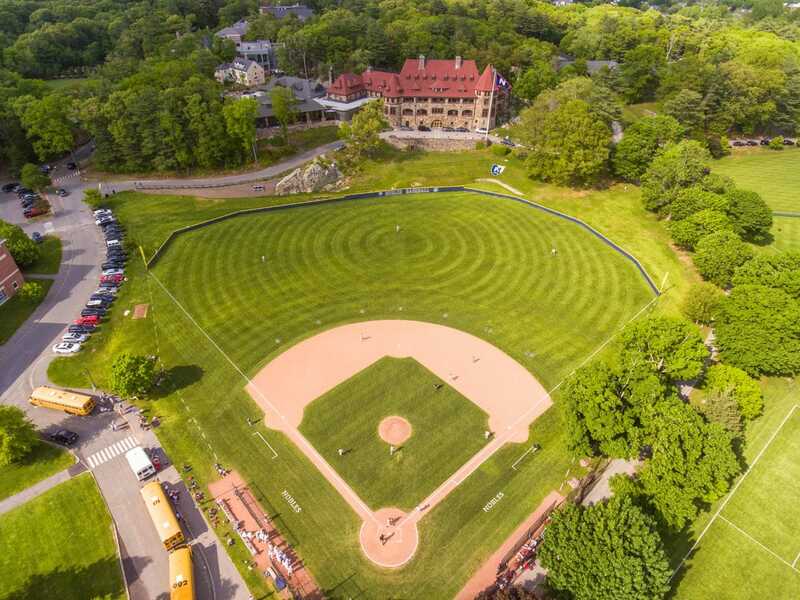 Located in the southwest corner of campus adjacent to the Charles River, the MAC provides convenient access to most fields for the players, staff and spectators. 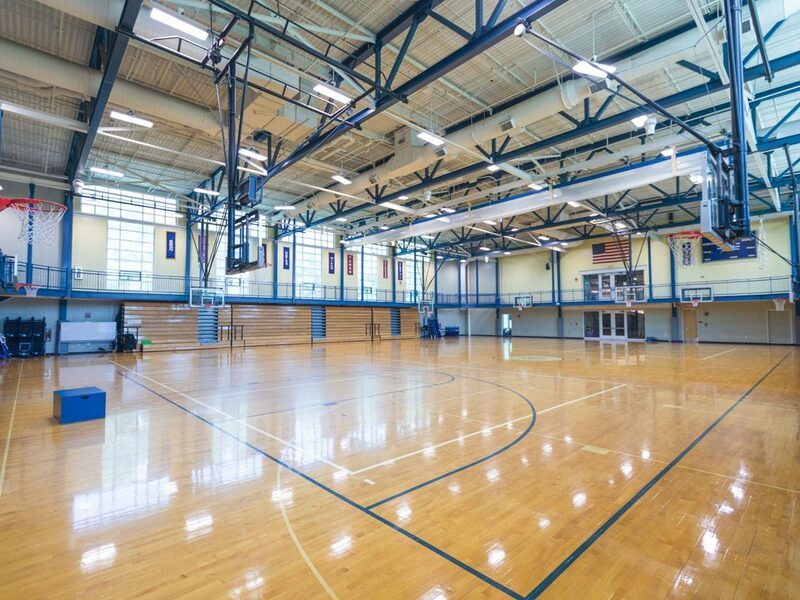 The Rappaport Gymnasium, located on the second floor of the MAC, houses a suspended jogging track and two full-size basketball courts with a curtain divider. For games, bleachers pull out to highlight the Clifford Basketball Court, and spectators may also view from the surrounding jogging track. The courts host volleyball in the fall, basketball in the winter, and indoor training in the spring. 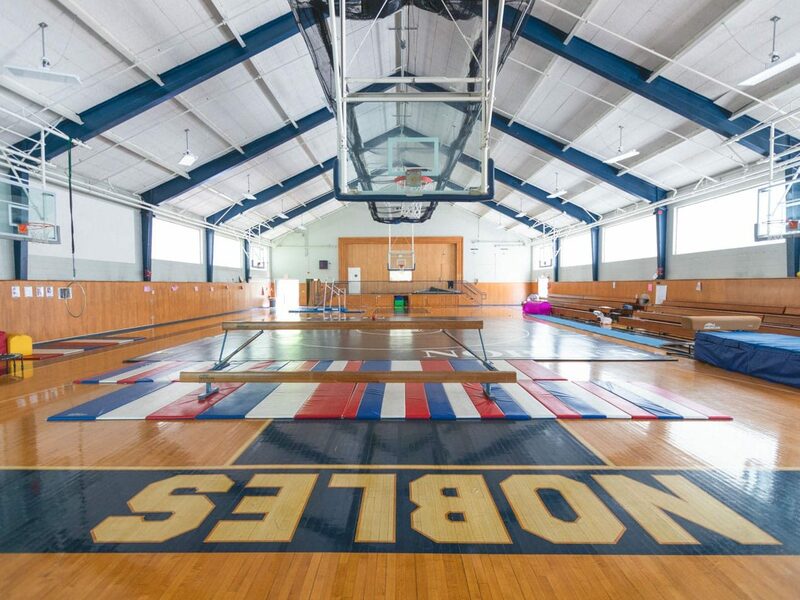 Before Rappaport Gym, this gym served as the primary basketball and workout facility. Maintained through construction and renovations, Richardson serves as a regulation basketball court most often used by sub-varsity levels. 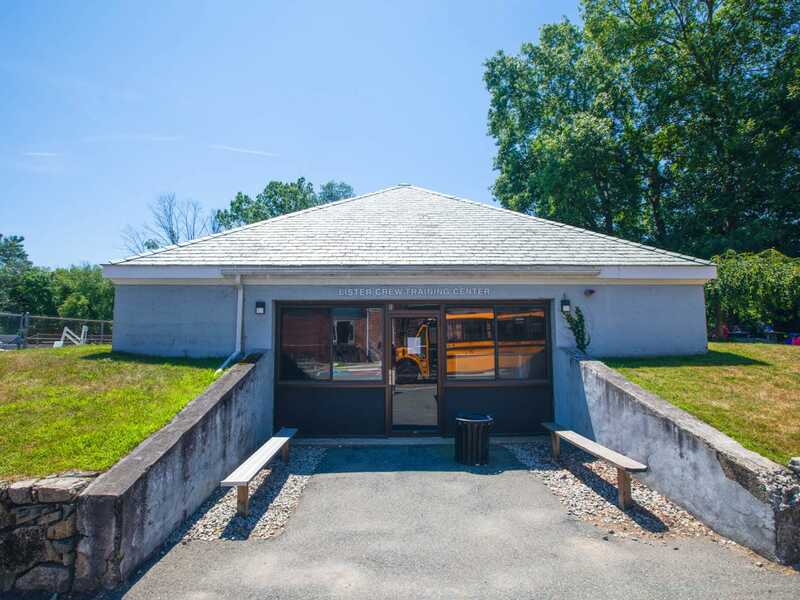 Through the fall and spring, this gym is used for fitness and wellness activities and houses an indoor batting cage for batting and pitching practice. 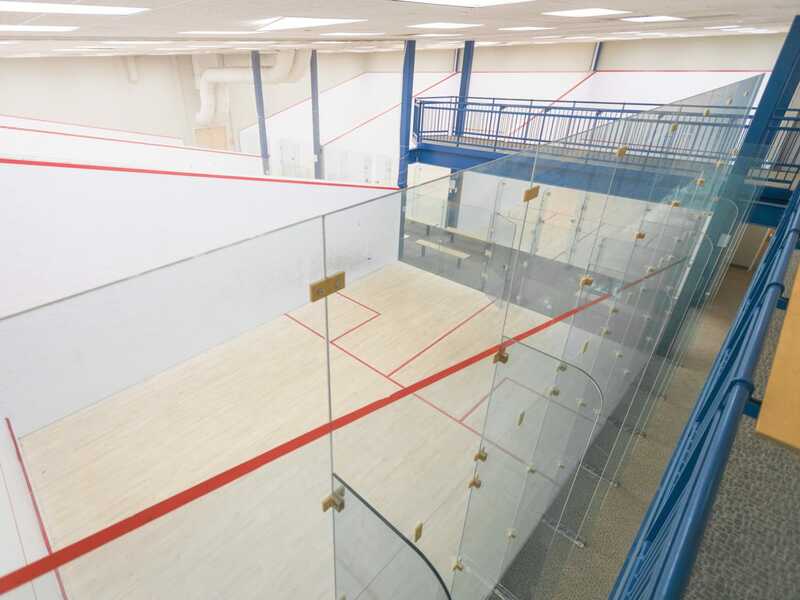 Six international-sized squash courts in the climate-controlled northern extension of the MAC provide a wonderful space for squash training and competing. For the best viewing experience, there is a viewing platform above the courts and one court allows viewing from two sides at floor level. 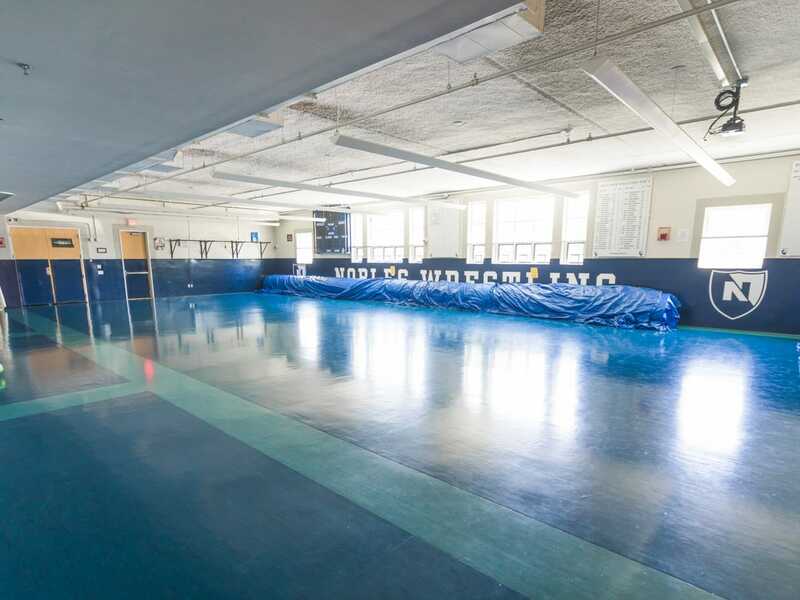 The Wilbur Storer Wrestling Room is named after Nobles’ celebrated, first wrestling coach. The 2100 square foot space is dedicated to wrestling and includes pull-up bars, championship boards and a 5-camera recording system to enhance instruction. 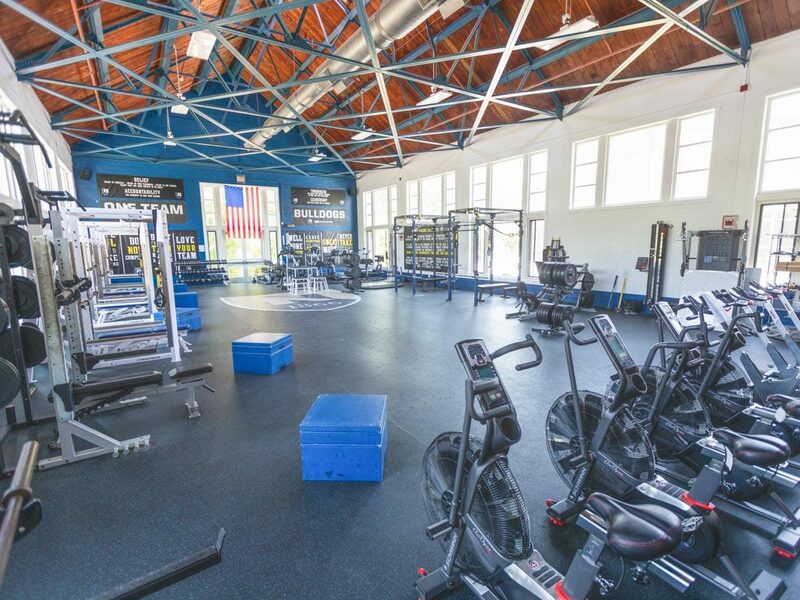 The 2,800 square foot Fine Family Strength & Conditioning Center, “The Cage”, serves the entire Nobles community with a variety of equipment including treadmills, ellipticals, ergometers, spin bikes, power racks, plyometric boxes, and a large assortment of dumbbells, kettle bells, and medicine balls. Fully staffed by experienced trainers, the weight room is used for scheduled workouts by varsity teams and the dedicated afternoon strength program. The Nobles ski team races and practices at Nashoba Valley Ski Area, but they have an excellent locker room located in the MAC. 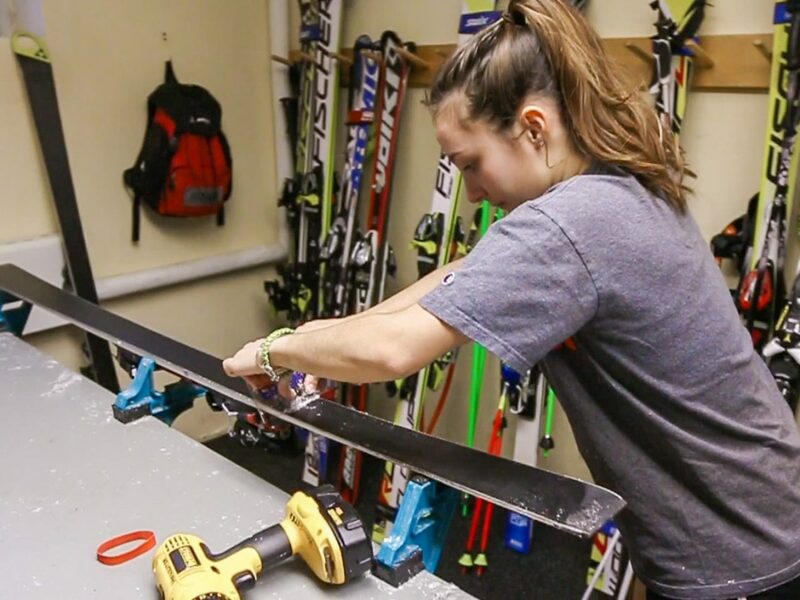 The ski room has a large rack across one wall on which to store skis, individual cubbies for each athlete’s clothing and boots, a boot dryer that accommodates 20 pairs of boots, a video monitor for watching film, four tuning and waxing stations. 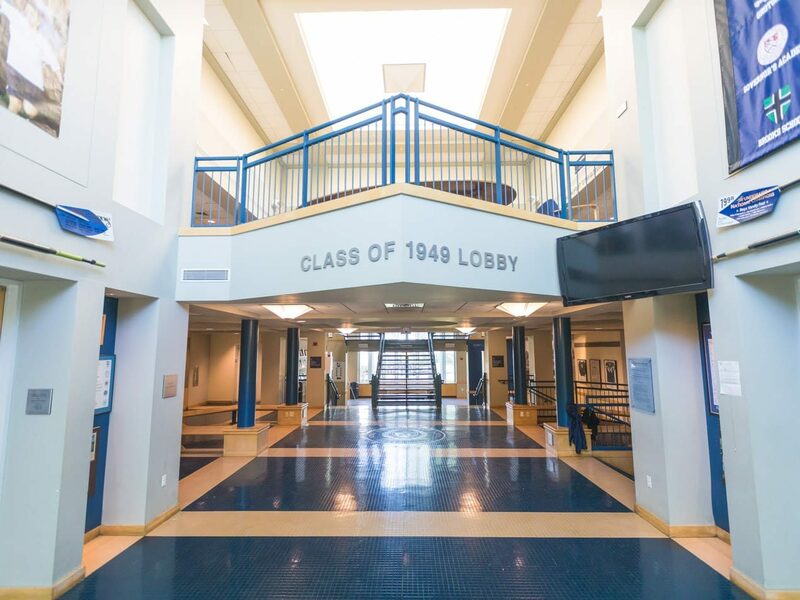 Just inside the main entrance of the MAC, the 1949 Lobby provides a spot for teams and spectators to relax between practices or games. Decorated with trophy displays, newspaper clippings, and two plasma TVs, this central hub radiates to the fitness, training room, athletic store, locker rooms, and various playing surfaces. 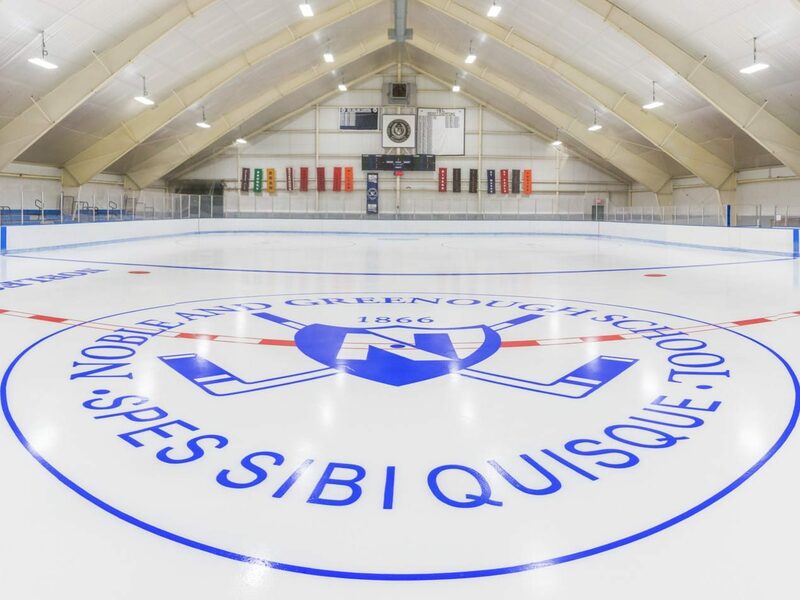 The Bliss Omni and Flood Rink is a fully enclosed facility with renovated lighting, a sound system, and a new HVAC. In the winter, the rink is used for the Nobles ice hockey teams. Bliss Omni has fully equipped locker room and shower facilities for varsity teams, ‘home’ and ‘away’ changing rooms, a pro shop with a skate sharpening machine, and a heated spectator lobby. 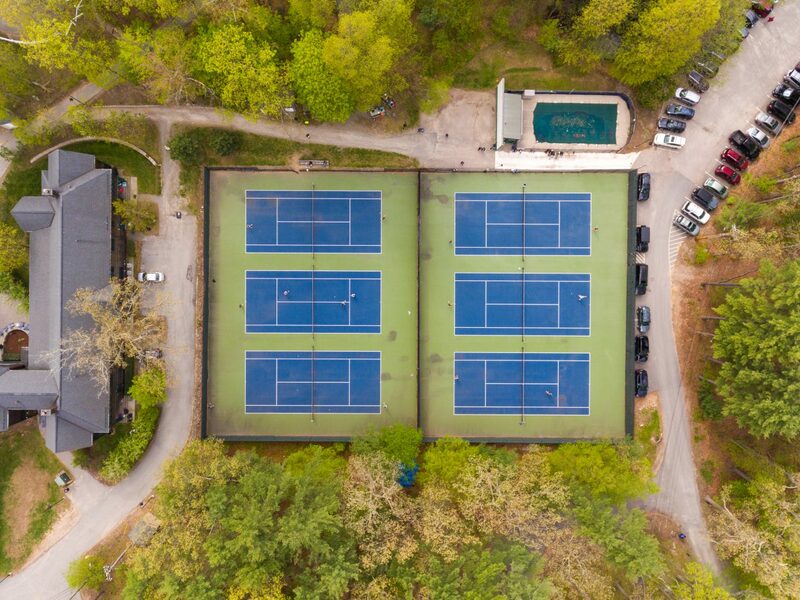 In the spring, the ice is melted and the boards are stowed away to reveal four indoor tennis courts, allowing the tennis teams to have a total of 10 courts on campus. 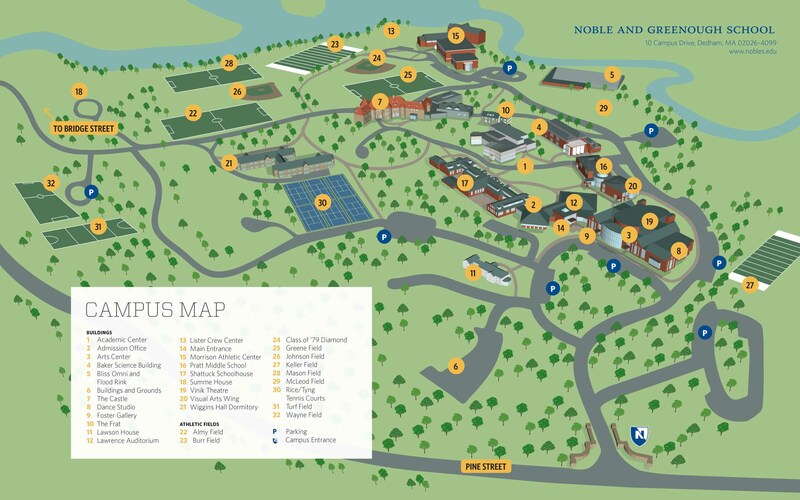 Nobles has six outdoor tennis courts. Located behind the main schoolhouse adjacent to the dorm, the Rice/Tyng Tennis Courts feature a lower fence on the spectator side for improved viewing. 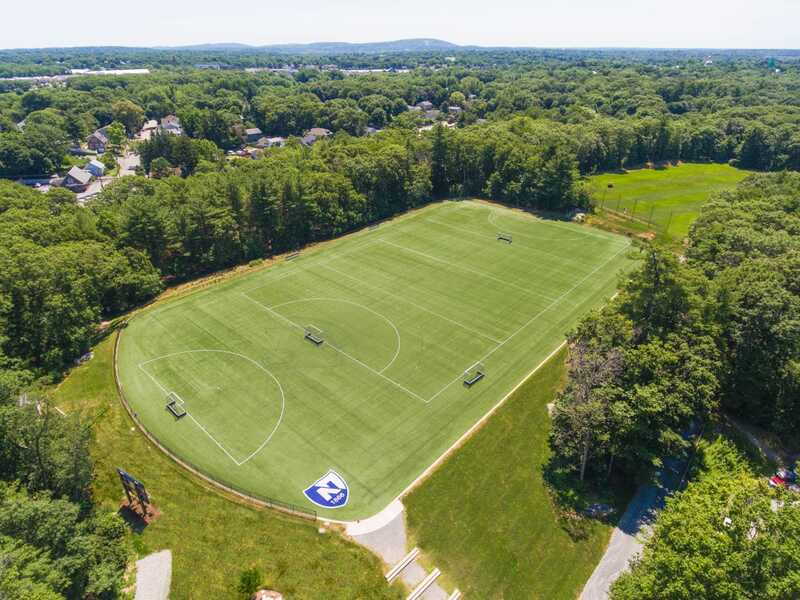 Commonly referred to as just “The Turf”, this full size synthetic field serves as the varsity field hockey game and practice field in the fall and varsity lacrosse game and practice field in the spring. It is located down the path towards the Bridge Street entrance to campus. 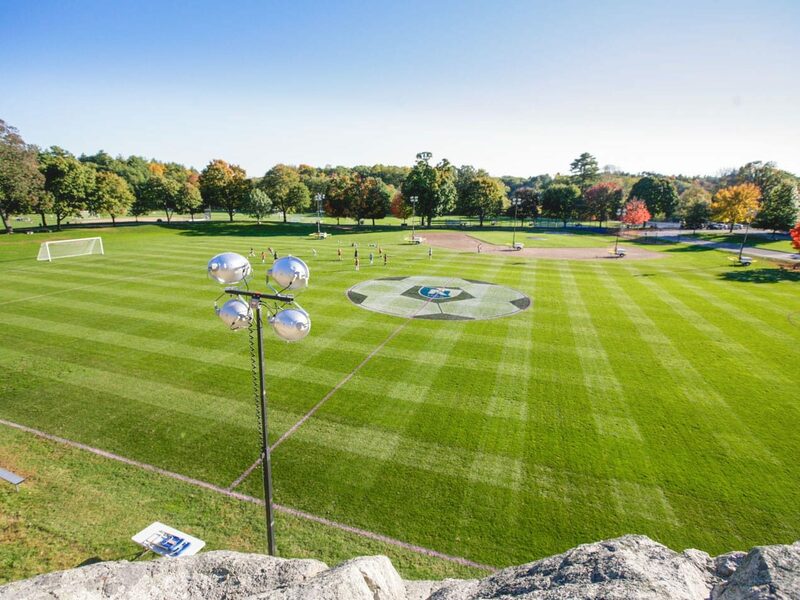 Commonly referred to as Castle Field, this full size soccer field serves as the game and practice field for boys and girls varsity soccer. 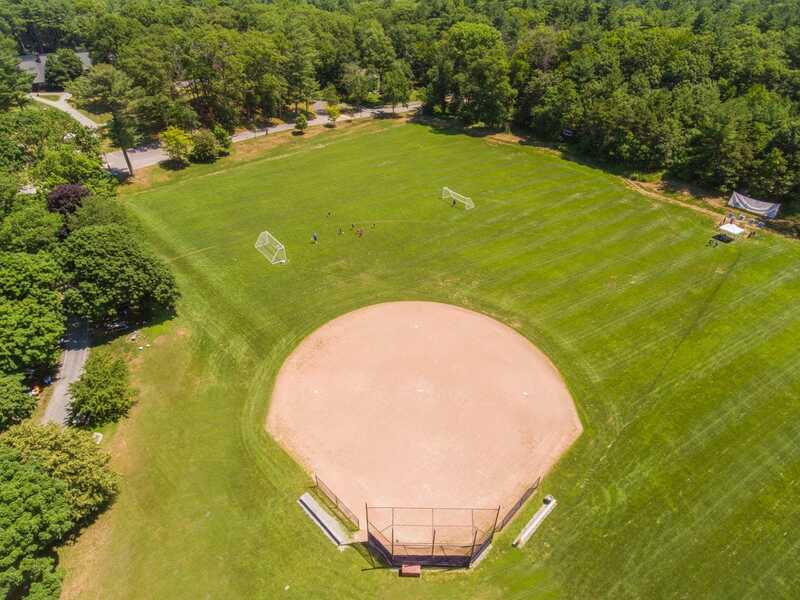 Located in the outfield of Johnson softball field, Almy is a full size varsity soccer game and practice field. 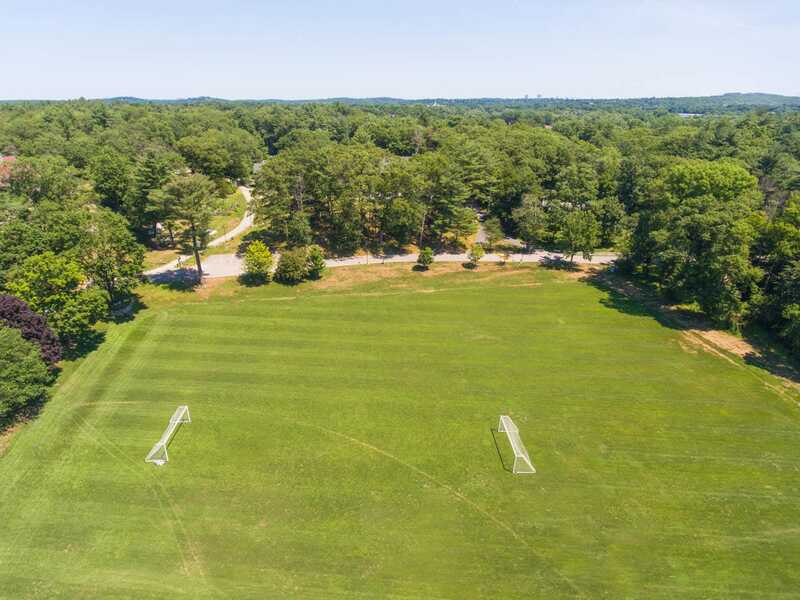 Located next to the Charles River behind Johnson softball field, Mason is a full size junior varsity and middle school soccer, field hockey and lacrosse field. Located closest to the MAC, Burr field is the football and lacrosse game field. It has a scaffold for filming and a couple sets of stands for spectators. 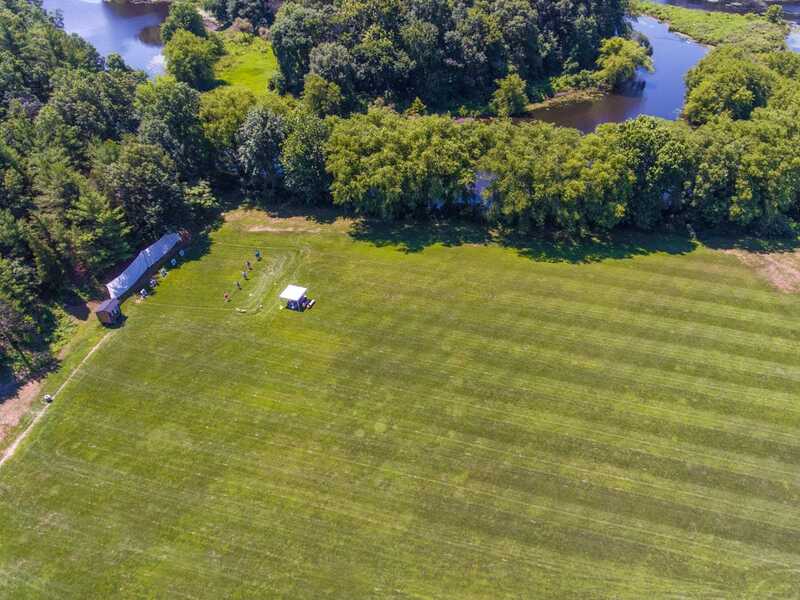 Located behind the Turf, Wayne Field is a full size junior varsity grass soccer field. Located next to the north parking lot, Keller is the football practice field in the fall and middle school baseball field in the spring. In the spring, foul posts are installed and Greene field is fenced in to become the outfield for the Class of ’79 infield. In the spring, foul posts are installed and Almy field is fenced in to become the softball outfield. 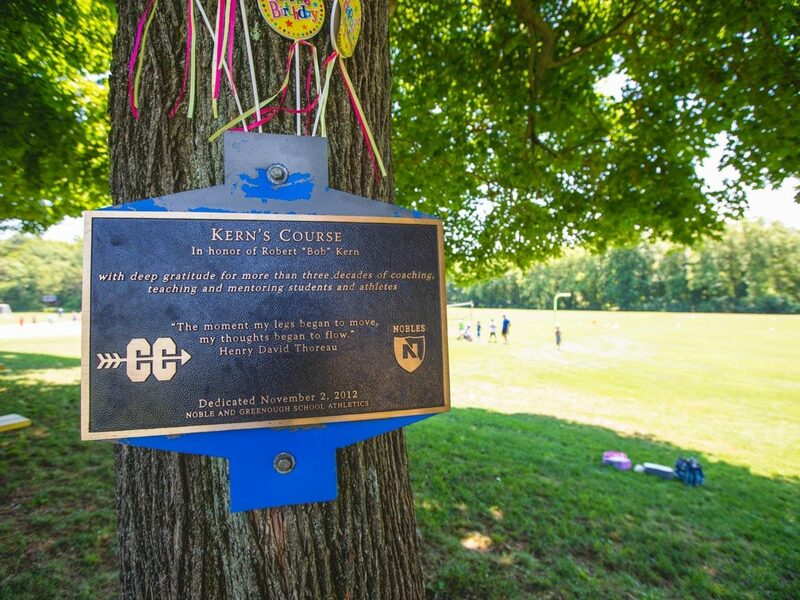 Kern’s Course is a challenging 5K cross country course that winds its way through the woods and fields around campus. 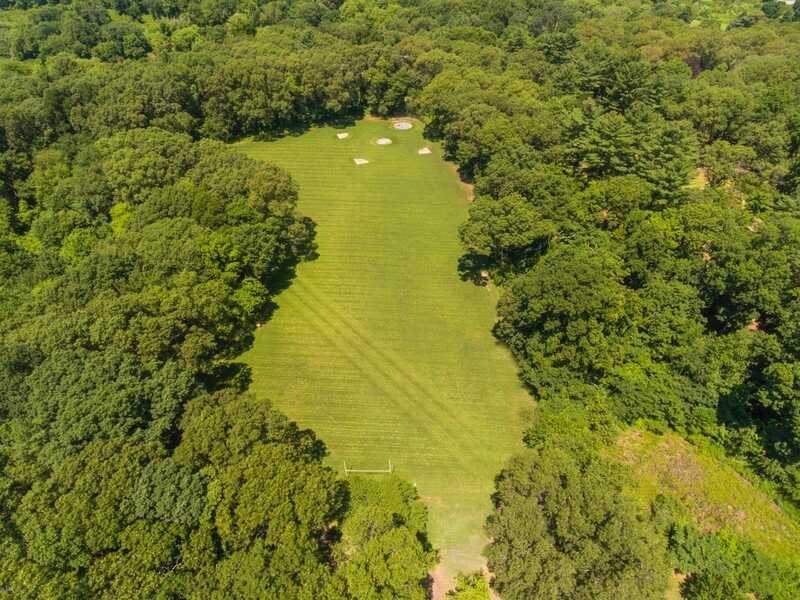 After starting near first base on the baseball field, the course travels across Johnson field and immediately up a steep rise into the woods. 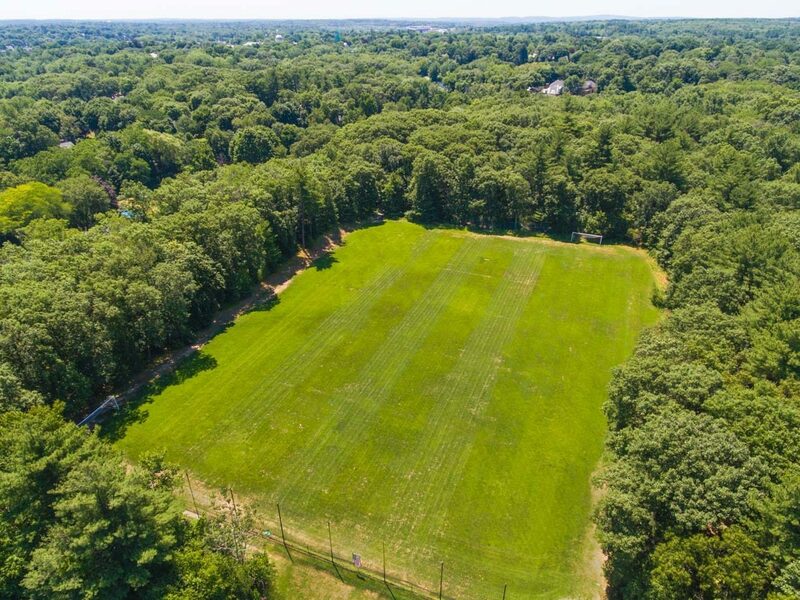 The trail pops out onto the back road to the Bridge Street entrance and turns onto another path in the woods to encircle Turf and Wayne fields. After passing the first mile marker, it retraces its steps along the road and heads up another hill into the woods before popping out at the corner of Mason field and skirting along the sideline of Burr field. Running behind the pools, it passes the boathouses and shoots behind the MAC before ducking back into the woods by the Omni. On the north side of the Omni, it follows a short rise to emerge on the perimeter of McCleod field and turns to follow the path to Keller field. Running along the north side of Keller, it passes the second mile marker before ducking back into the woods for the toughest hill of the course. Coming down the backside of the hill, it emerges back onto Keller and travels up a path into the woods behind McCleod before retracing its path behind the Omni, MAC, pools, Burr and Mason fields. With a sharp left at the corner of Mason field, the final 50 yards are a sprint to the finish line at the edge of Almy field. 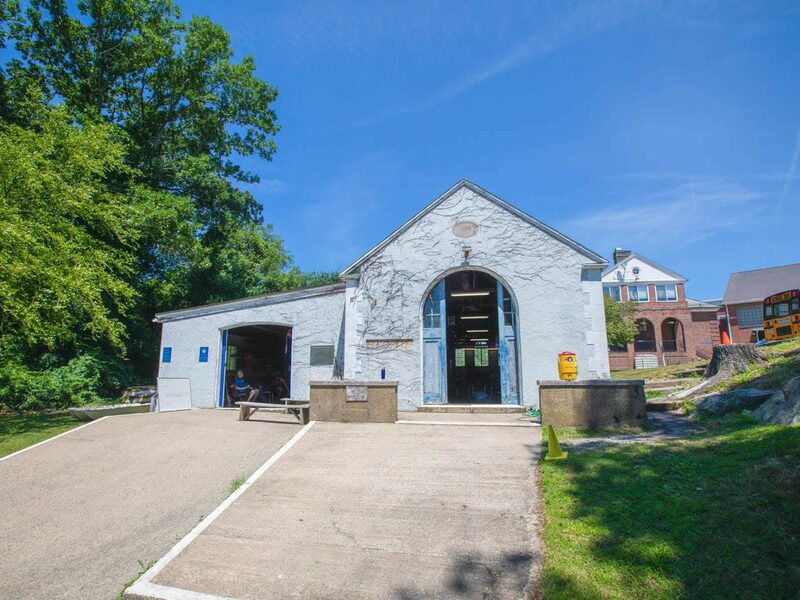 Located behind the MAC on the bank of Motley’s Pond on the Charles River, these facilities house the boats for the middle school learn-to-row program. 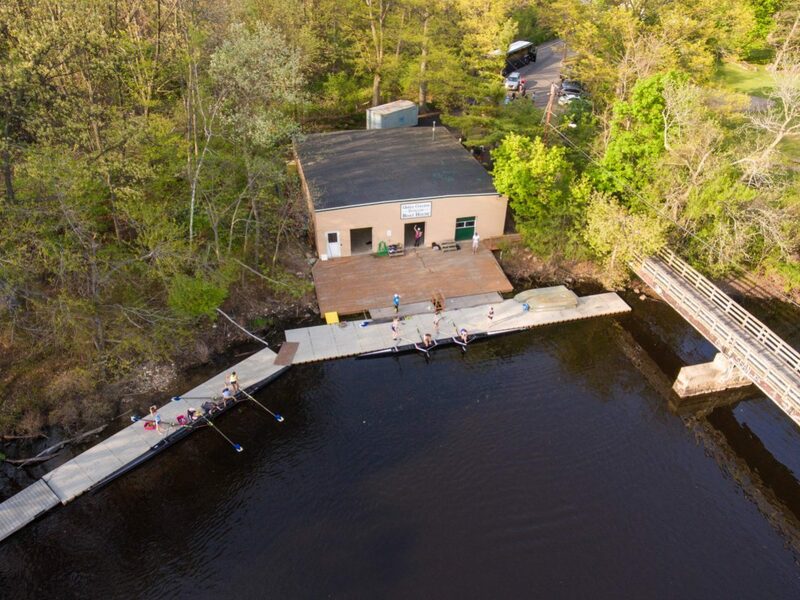 Since 2015, the boys and girls varsity crew teams have been practicing out of the Lasell College Stoller Boathouse. 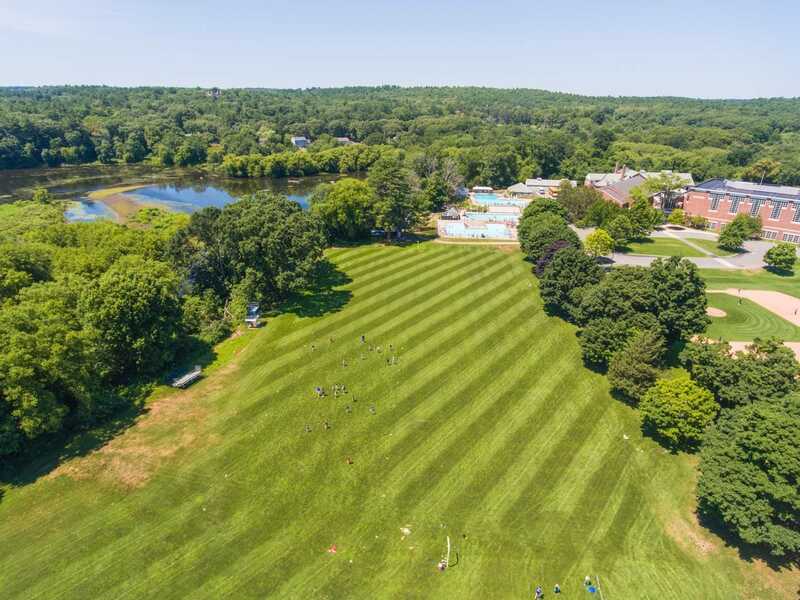 Located on an expansive stretch of the Charles River in Newton, this longer and wider water space enables much more efficient practices and more time on the water. The Lister Crew Training Center sits next to the boathouses behind the MAC. It houses 20 ergometers and is a focal point for dry land training both in and out of season. Nobles has four outdoor swimming pools that are only in use in the summer for Nobles Day Camp. 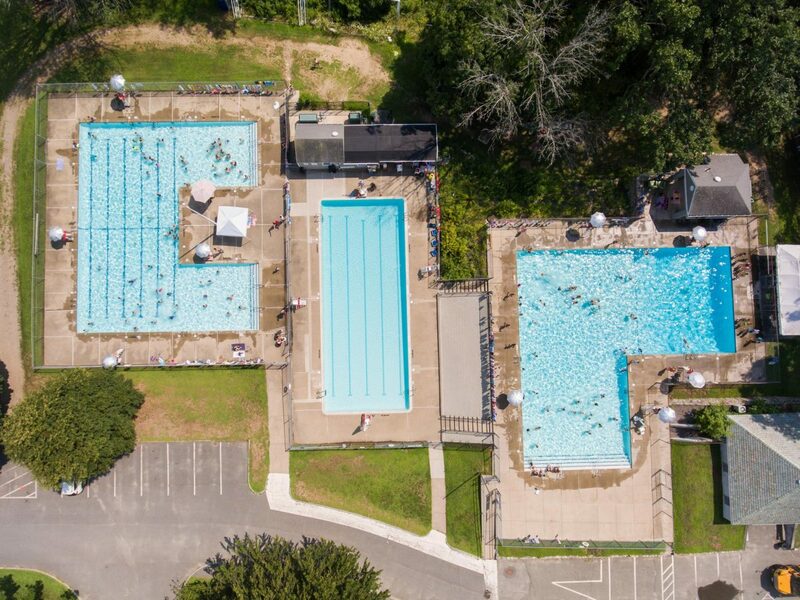 There is a U-shaped pool, lap pool and L-shaped pool next to the Lister Crew Training Center, and a kiddie pool next to the Rice/Tyng tennis courts.